The Ahmadiyya Muslim Jama`at Canada condemns the horrific attack that took place at the Al-Rawda mosque in Egypt and expresses its deepest condolences to the victims and their families. It is reported that attackers planted explosives and then opened fire on worshippers, killing at least 235 people and leaving more than 109 others injured. The Ahmadiyya Muslim Jama`at Canada condemns the horrific shooting that took place inside the First Baptist Church in Sutherlands Springs and expresses its deepest condolences to the victims and their families. It is reported that a man opened gunfire in the church, killing 26 people. The Ahmadiyya Muslim Jama`at Canada condemns the horrific attack that took place on Tuesday in Manhattan and expresses its deepest condolences to the victims and families affected. It is reported that a man driving a pickup truck plowed down a busy bike path, killing eight people and wounding almost a dozen others. The Ahmadiyya Muslim Jama`at urges for calm and patience as authorities work swiftly to restore security and order. Canada’s largest and longest running Muslim convention took place this weekend from July 7-9 at the International Centre in Mississauga. The three-day event featured a press Q&A with scholars, unique Islamic exhibition, scholarly addresses on the true, peaceful teachings of Islam and much more. The Ahmadiyya Muslim Jama`at Canada condemns the barbaric attacks that took place on Saturday in London in the strongest terms. Our heartfelt prayers and thoughts are with the people of London and all those affected. The harming of innocent people can never be justified under any circumstances. The Ahmadiyya Muslim Jama`at Canada congratulates Malala Yousafzai on the auspicious occasion of becoming an honorary Canadian citizen. Malala Yousafzai spoke at the Canadian Parliament on April 12th where she received the honorary Canadian citizenship. Malala’s message focused on girls’ education, while she emphasized to the joint session of Parliament that “…Islam is a religion of learning, compassion and mercy”. The Ahmadiyya Muslim Jama`at Canada condemns the attack that took place on two Egyptian coptic churches on Sunday. It has been reported that this gruesome act of terror purportedly killed 43 people and injured numerous more. Islam forbids all forms of terror and extremism. The founder of Islam, the Prophet Muhammad (peace be upon him), placed a strong emphasis on especially protecting places of worship. The Holy Qur’an specifically teaches that Muslims must defend and protect all places of worship. The Ahmadiyya Muslim Jama`at Canada condemns the attack that took place at a St. Petersburg subway on Monday. It has been reported that a suicide bomber orchestrated a blast in the subway which purportedly killed 14 people and injured at least 50 more. The Ahmadiyya Muslim Jama`at urges for calm and patience as authorities work swiftly to restore security and order. The Ahmadiyya Muslim Jama`at Canada supports Canada in welcoming those who are fleeing from persecution and war. It recognizes the need for countries to implement screening and security measures during the immigration process. However, the Ahmadiyya Muslim Jama`at is concerned that these security measures should not be discriminatory towards people of any specific race, region, creed or religion. The Ahmadiyya Muslim Jama`at Canada condemns the senseless attack that took place in Berlin, and expresses its deepest condolences to the victims and families affected by this atrocity. It is reported that a truck crashed into a Christmas market in Berlin, killing a dozen people and wounding at least 48 more. The Ahmadiyya Muslim Jama`at urges for calm and patience as authorities work to restore security and order. Tens of thousands from around the world gathered for the second day of the 40th Jalsa Salana (Annual Convention) of the Ahmadiyya Muslim Jama`at Canada. In yesterday’s address the Caliph highlighted the necessity for Muslims to inculcate true Islamic values in daily life in order to maintain a harmonious society. His Holiness stressed the vital role women play in developing moral values in children and the practical steps women can take to help children become contributing members of society. Tens of thousands from around the world gathered for the first day of the 40th Jalsa Salana (Annual Convention) of the Ahmadiyya Muslim Jama`at Canada. The three-day event – held at the International Centre in Mississauga – commenced with a flag hoisting ceremony led by the Caliph, His Holiness, Hazrat Mirza Masroor Ahmad. On October 3, 2016, His Holiness, Hazrat Mirza Masroor Ahmad set foot on Canadian soil, commencing his tour of the country. The Caliph, who resides in London, England, was welcomed at Toronto Pearson Airport by the National President of the Ahmadiyya Muslim Jama`at Canada, Mr. Lal Khan Malik, and various other officials who accompanied His Holiness to Baitul Islam Mosque – the headquarters of the Ahmadiyya Muslim Jama`at Canada. The Ahmadiyya Muslim Jama`at Canada is excited to announce the visit by the Caliph, His Holiness, Hazrat Mirza Masroor Ahmad in October. The visit comes at a historical time as the community celebrates 50 years of establishment in Canada. The Caliph is scheduled to arrive on October 3, 2016 at Baitul Islam Mosque, Vaughan, ON, where a public reception ceremony will be held. Tens of thousands of Canadian Muslim men, women and children will gather to joyously receive the Caliph and welcome their spiritual leader. The Ahmadiyya Muslim Jama`at Canada is deeply saddened to learn of the devastating earthquake that took place in Italy. It is reported that more than 120 people were killed in the disaster while hundreds more were left injured. We offer our sympathies and heartfelt prayers for those affected by this tragedy. The Ahmadiyya Muslim Women’s Association Canada strongly supports the recent decision of the RCMP permitting women to wear the Hijab as part of the uniform. It is uplifting and powerful to see that the RCMP continues to be a progressive police service that respects all cultures and religions. The Ahmadiyya Muslim Jama`at Canada denounces the senseless attack which took place in Quetta, Pakistan. It is reported that at least 70 people have been killed and many more wounded at the Quetta Civil Hospital. Members of the community in Canada express their deepest condolences to those affected by this tragedy and prays for the rapid recovery of the wounded. The Ahmadiyya Muslim Jama`at Canada is shocked and saddened to hear of the senseless killings that took place in Nice, France and expresses its deepest condolences to the victims and families affected. It is reported that dozens of innocent people have been killed. The community urges for calm and patience as authorities work swiftly to restore security and order. The Ahmadiyya Muslim Jama`at Canada has launched a nationwide campaign called #MobileMuslims, in which a mobile exhibition will be driven coast-to-coast to spread the true, peaceful teachings of Islam and remove misconceptions about the religion by stopping at various cities along the way. The Ahmadiyya Muslim Jama`at Canada strongly denounces the senseless killings in Dhaka, Bangladesh and expresses its deepest condolences to the victims and families affected. It is reported that 20 hostages have been killed. The community urges for calm and patience as authorities work swiftly to restore peace, security and order. The Ahmadiyya Muslim Jama`at Canada expresses its deepest condolences to the victims and families of the horrific acts of terrorism in Istanbul, Turkey. It is reported that more than 35 people have been killed and at least 147 injured. The Ahmadiyya Muslim Jama`at Canada denounces the hate crime against a Muslim mother shopping at a London, ON supermarket, and the hate crime at Quebec City Mosque, where a pig-head was left at the Mosque’s entrance.. We live in a country that greatly values and protects religious freedoms and no individual should feel unsafe because on their beliefs. The Ahmadiyya Muslim Jama`at Canada commemorates National Aboriginal Day and appreciates the diverse faiths and cultures of Aboriginal people. June 21 marks an important day for Canadians to remember and recognize the contributions of Indigenous people made to Canadian society. The celebration of National Aboriginal Day helps Canadians build stronger relationships with Indigenous people - relationships rooted in love, respect and mutual understanding. The Ahmadiyya Muslim Jama`at Canada denounces the killing of Robert Hall, who was held hostage in the Philippines since September 2015. This tragic incident came less than two months after the brutal killing of John Ridsdel, who was held captive alongside Robert Hall in the Philippines. The Ahmadiyya Muslim Jama`at Canada has launched a national campaign titled “Fast with a Muslim Friend.” This annual campaign allows Canadians to participate in Ramadan with their Muslim friends and fellow Canadians. On June 6, 2016, more than one billion Muslims across the globe will begin this 30-day spiritual journey, as they enter the holy month of Ramadan. The Holy Qur’an acknowledges that fasting was prescribed to many faiths including Christianity, Judaism, Buddhism and Hinduism. As a pillar of Islam, it is particularly sacred to Muslims. Through this campaign, the Ahmadiyya Muslim Jama`at aims to share the experience of Ramadan with its fellow Canadians. The Ahmadiyya Muslim Jama`at Canada extends its heartfelt sympathies for those affected by the wildfire in Fort McMurray and is organizing special prayers across Canada. The Ahmadiyya Muslim Jama`at Canada denounces the killing of John Ridsdel, who was held hostage in the Philippines by terrorists since September 2015. This was an act of cold-blooded murder and was utterly unjustified. The Ahmadiyya Muslim Jama`at Canada strongly denounces the explosion at a public park in Lahore, Pakistan. Tragically, at least 69 civilians have been reported killed, with many victims being women and children. Hundreds of innocent peoplewere left injured in this horrific act of violence. The attack comes a little more than a year after the brutal 2014 Peshawar school attack, which resulted in the death of more than 150 people, primarily children and recent attack at a University killing over 30 people. The Ahmadiyya Muslim Jama`at Canada categorically condemns the attack on Canadian Forces officers in Toronto, Ontario. The community expresses its heartfelt grief and prays for the victims and their families. The Ahmadiyya Muslim Jama`at Canada honours women and celebrates their role in society, at work and in family. Women of the Ahmadiyya Muslim Jama`at are empowered, educated, confident, humble and honest members of society. The Ahmadiyya Muslim Jama`at Canada launches its nationwide “Visit a Mosque” campaign on Sunday, March 6. As misconceptions regarding Islam have become prevalent, the Ahmadiyya Muslim Jama`at invites Canadians to visit its mosques and gatherings nation wide to experience firsthand, the true and peaceful teachings of Islam. The Ahmadiyya Muslim Jama`at Canada, headquartered in Vaughan, Ontario, launched the first of many celebratory events to commemorate its 50 year anniversary in Canada. The event was hosted by Hon. Maurizio Bevilacqua, Mayor of Vaughan, Ontario, who spoke highly of the contributions of the Community. “The activities of the Ahmadiyya Muslim Jama`at demonstrate their deep affection, love and commitment to serve mankind,” said the Mayor. The Ahmadiyya Muslim Jama`at Canada categorically condemns the multiple terrorist attacks that occurred around Jakarta, Indonesia on January 13, 2015. The Ahmadiyya Muslim Jama`at expresses its deepest condolences and sympathies with the victims of this horrific tragedy. The community is saddened to learn that at least two civilians, including one Canadian, were killed during the attacks and many more critically injured. As the wave of Syrian refugees begins to enter Canada, the Ahmadiyya Muslim Jama`at is paving the way to help families transition into their new home country. The Ahmadiyya Muslim Jama`at has sponsored dozens of Syrian families and is committed to ensuring all their living essentials. Volunteers of the Ahmadiyya Muslim Jama`at are working around the clock to arrange living accommodations, food supplies and all other necessities for the newcomer families. In light of the recent terror attack in Paris, France and the subsequent hate attacks on Muslim women around the world, Canadian Muslim women have launched a national awareness campaign to help Canadians better understand Muslim women’s identity. As Muslims around the world find themselves being victims of various forms of hate attacks, this campaign aims to open dialogue at public forums across Canada. In the wake of recent attacks on Canadian Mosques and assaults on Canadian Muslims, it is imperative that Canadians across the country stand united in the face of these senseless acts of intolerance. The Ahmadiyya Muslim Jama`at Canada has launched a national campaign titled #JeSuisHijabi to highlight the Canadian values of multiculturalism, plurality and tolerance. The Ahmadiyya Muslim Jama`at categorically condemns the recent extremist mob attacks to murder Ahmadi Muslims in Pakistan and destroy their mosque and property, after a local man falsely accused Ahmadi Muslims of desecrating the Holy Qur’an. A violent mob of thousands was formed following the allegations, after which a chipboard factory belonging to Ahmadi Muslims was set on fire in Jhelum, with workers still inside. Police helped the Ahmadi Muslims escape, but not before the mob had attacked nearby homes belonging to Ahmadi Muslim families. The Ahmadiyya Muslim Jama`at Canada denounces the arson attack on Masjid Al-Salaam (Mosque) in Peterborough, Ontario. In the Islamic faith, all places of worship are revered and command special place in society as central venue for worship and community-gathering. On the heels of the mosque arson, the community is appalled to learn about the malicious attack on a Canadian Muslim mother in Toronto. This hate crime has alarmed the community as the brazen assault occurred during broad daylight near her children’s school. The Ahmadiyya Muslim Jama`at Canada is proud to launch its 5th Annual “Muslims for Remembrance Day” campaign. This nationwide campaign was first launched in 2011 to remember and show support for the sacrifices of Canada’s armed forces. The Ahmadiyya Muslim Jama`at will again show its support for Canada’s troops and veterans that sacrificed their lives for this country and for those who are protecting us today. The Ahmadiyya Muslim Jama`at has become the leading Muslim organization to showcase support for Canadian veterans through this annual campaign. The Ahmadiyya Muslim Jama`at congratulates Prime Minister-elect, Justin Trudeau, and his colleagues at the Liberal Party of Canada as they form a new majority government. The Ahmadiyya Muslim Jama`at believes that loyalty to one’s country is a fundamental part of the Islamic faith. All members of the community from across Canada serve their country in everything good – as they have for the last 50 years. We believe that Canada is indeed strong not in spite of our differences but because of them. The World Head of the Ahmadiyya Muslim Community, the Fifth Khalifa, His Holiness, Hazrat Mirza Masroor Ahmad arrived at the Baitun Noor Mosque in Nunspeet, Holland on 4th October 2015. The Khalifa (Caliph) travelled from London by road and after crossing into France he was greeted by the National President of the Ahmadiyya Muslim Community in Holland, Mr Hibbatun-Noor and various other officials who then escorted His Holiness to Holland. Members of the Ahmadiyya Muslim Jama`at Canada have been left deeply shocked and grieved to hear of today’s tragic stampede in Mecca, Saudi Arabia, where hundreds of worshippers lost their lives and many others were injured. We offer our sincerest condolences and sympathies to all those who have been affected by this devastating tragedy and pray that may God Almighty grant a full recovery to all of those who have been injured. The Ahmadiyya Muslim Jama`at welcomes the decision by the Federal Court to dismiss the appeal to ban the niqab in citizenship oath ceremonies. The decision by the Federal Court upholds religious freedom, is in line with core Canadian values and is indicative of Canada’s status as a truly free and democratic nation. 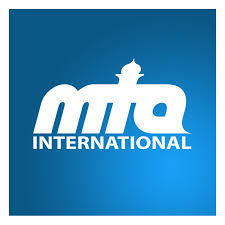 “We are glad that the Federal Court upheld principles of freedom of religion. It is a true blessing and privilege to live in a free democratic society where both the government and the courts can ultimately make decisions and reach a resolution that is the best for the collective good.” said Mr. Lal Khan Malik, National President, Ahmadiyya Muslim Jama`at Canada. Over 17,000 gathered at the International Centre in Mississauga for the 39th Jalsa Salana (Annual Convention) of the Ahmadiyya Muslim Jama`at Canada. The three-day event – chaired by the President of the Ahmadiyya Muslim Jama`at, Mr. Lal Khan Malik – featured addresses by numerous prominent dignitaries, including the Prime Minister of Canada, the Right Honourable Stephen Harper; Minister of Defence, Jason Kenney; Liberal Party of Canada leader, Justin Trudeau; Consul General of India, Akilesh Mishra; and Consul General of Pakistan, Asghar Golo. On the final day of the Convention, First Nations Regional Chief of Ontario, Isadore Day, and other First Nation Chiefs commended the Ahmadiyya Muslim Jama`at for its persistence in promoting peace and tolerance. Thousands gathered for the first day of the 39th Jalsa Salana (annual convention) of Ahmadiyya Muslim Jama`at Canada at the International Centre, Mississauga, Ontario. The opening address of the first session was presented by the Canadian Prime Minister Stephen Harper and presided by the National President of the Ahmadiyya Muslim Jama`at, Mr. Lal Khan Malik. Several dignitaries, politicians and diplomats were also in attendance for the opening session. The Ahmadiyya Muslim Jama`at will host Canada’s largest Islamic Convention on August 28, 29 and 30 at the International Centre in the Greater Toronto Area. The three-day event will attract tens of thousands from across Canada and abroad, providing a unique spiritual experience through scholarly lectures, discussions and special exhibitions. This year the convention aims to tackle controversial topics of contemporary relevance, such as the rise of global terrorist organizations and the apparent conflict between freedom of speech and freedom of religion. The Ahmadiyya Muslim Jama`at Canada will be celebrating Eid, marking the end of the holy month of Ramadan on July 18, 2015. All 88 chapters of the Ahmadiyya Muslims Jama`at Canada, spanning from Newfoundland to British Columbia will hold special Eid prayers for Canada. The Ahmadiyya Muslim Jama`at Canada has launched a national campaign titled, “Fast with a Muslim Friend”, for Canadians to participate in Ramadan with their fellow Muslims. Starting June 18, 2015, over a billion Muslims across the globe will begin the 30-Days spiritual journey, as they enter the Holiest month in Islam. While fasting is common among most faiths, including Christianity, Judaism, Buddhism, Hinduism, and Sikhism, fasting during Ramadan is particularly sacred in the religion of Islam. Through this campaign, the community aims to share the experience of Ramadan with fellow Canadians. The community also hopes that this campaign will help remove any misconceptions about Islam, and bridge gaps that may exist amongst Canadians. The Ahmadiyya Muslim Jama`at of Canada categorically and unequivocally condemns the weekend attacks on Christian churchgoers in Lahore, Pakistan, where it is reported that as many as 14 people were killed and scores of others injured. The Ahmadiyya Muslim Jama`at Canada has launched a national campaign titled “Meet A Muslim Family”, to connect Canadians with their fellow Muslim families. This campaign aims to introduce the various diverse Muslim families, their traditions, cultures and hospitality, while embracing the Canadian mosaic. In recent months, there have been several heinous terror attacks carried out in the name of Islam, by violent extremists, both here in Canada and around the world. Canadian Muslim Community mourns the murder of Muslim college students from North Carolina University. The Ahmadiyya Muslim Jama`at Canada mourns with the families of Deah Shaddy Barakat, his wife, Yusor Abu-Salha, and sister, Razan Abu-Salha. These innocent students were murdered on February 10, 2015, in an apartment near the University of North Carolina at Chapel Hill campus. Some reports suggest that the murders may be a targeted anti-Muslim hate crime. Our thoughts and prayers go out to the victims of this senseless act of violence, their families and their loved ones. We pray “Surely we belong to God and to God, we shall return”. The Ahmadiyya Muslim Jama`at Canada has categorically condemned the terrorist attack on Charlie Hebdo and the kosher supermarket in Paris, France. We offer our heartfelt prayers and condolences to the victims and those left bereaved. The perpetrators of the brutal attack on Charlie Hebdo and the kosher supermarket may seek to justify their acts in the name of Islam and Prophet Muhammad (sa)​ but their actions have no relation whatsoever to the true teachings of Islam.